Here are few useful online encode/decode tools. I personally prefer the first tool because it gives option to add <br> tags and &nbsp; etc which preserve original indentation and formatting. When you share your HTML knowledge with your friends and community, use HTML encoder tools to escape the HTML code examples! If you need more sophisticated and fancy way of adding HTML and other code samples in to web pages or blog posts, you may continue reading "adding syntax highlighter to web page/blog post". 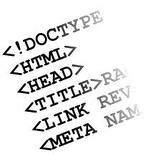 HTML encoding will be used in this fancy approach as well.